One of the biggest surprises this season has been the performance of San Francisco right-hander Ryan Vogelsong, who is 3-2 with a 3.20 ERA and 1.24 WHIP, including a 1.83 ERA and 0.91 WHIP over his last three outings. Vogelsong’s 20-14 campaign started poorly as he allowed four or more runs in three of his first four starts and owned a 7.08 ERA. However, his fortunes have since changed as Vogelsong has allowed no runs on eight hits in his last 13 2/3-innings of work. While many sports bettors and fantasy baseball players alike will be rushing to secure Vogelsong, that decision could prove costly as he owns a pedestrian 4.12 xFIP and a 4.04 SIERA. While his road number’s don’t look too bad in the latter years above, it’s important to put those numbers into context. In 2012, Vogelsong had a 2.86 ERA and 1.20 WHIP at home. In 2011, Vogelsong had a 2.15 ERA and 1.17 WHIP at home . In other words, his road numbers were substantially worse in both years despite showing decent numbers on foreign soil. The 36-year-old has also struggled against St. Louis as evidenced by the fact that he is 1-5 with a 7.08 ERA in seven career starts versus the Cardinals. 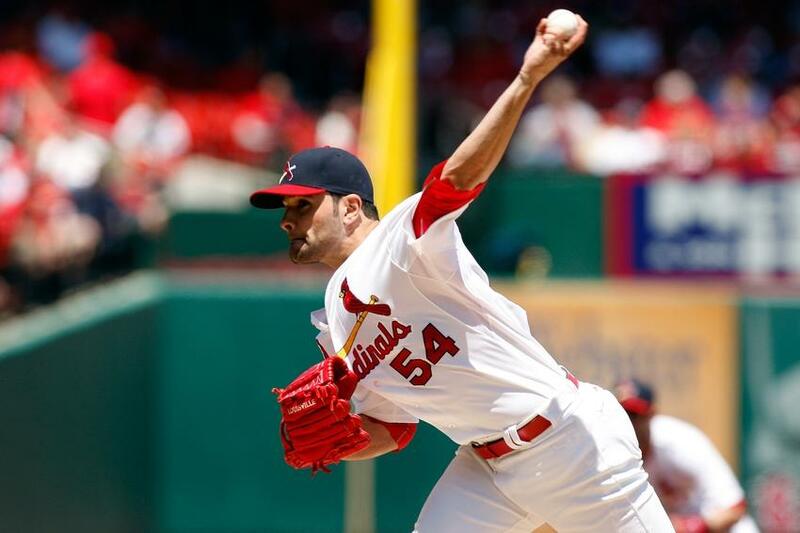 Meanwhile, St. Louis southpaw Jaime Garcia has returned from shoulder surgery that kept him sidelined since May, 2013. Garcia has pitched well in his first two outings, and one of the best developments has been his improved command and control. In fact, Garcia has not issued a walk in his first two starts, and he also managed to go seven innings on just 84 pitches against the Braves earlier this month (12.1 IP; 12/0 K/BB rate). Based on his first two starts in 2014, Garcia owns a 2.32 xFIP and a 2.16 SIERA. In other words, he is for real and should be considered a ‘play on’ candidate for the remainder of the season. I also like the fact that Garcia is 2-1 with a 1.27 ERA and 0.95 WHIP in four career starts against the Giants. St. Louis investors can also relax knowing that the Cardinals’ bullpen is finally coming into form with a 2.33 ERA and 1.08 WHIP over their last seven games. Let’s also note that San Francisco is batting just .232 with a .297 on base percentage on the road (3.8 runs per game) and .241 with a .299 on base percentage at night this season (3.7 runs per game). St. Louis has won nine of its last 13 games, and I like the Cardinals to make it ten of 14 behind the arm of Jaime Garcia. Take the Cardinals and invest with confidence.